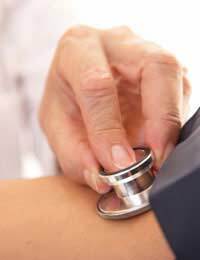 Home > Heart Conditions > Why is High Blood Pressure Bad for the Heart? As the plaques build up the walls of the blood vessels become far less elastic and are less capable of expanding to fill with more blood. Instead of being soft and expandable, they become rigid, or hardened. This causes problems as it stops proper blood flow to the major organs and to the skin in the fingers and toes, causing circulation problems. It also slows down the blood flow through the blood vessels themselves, and if the blood flow slows down a lot, clots of blood can start to form. These can block major blood vessels in the heart, causing a heart attack, or in the brain, causing a stroke.